Miller Energy offers a broad range of instrumentation and control solutions to a diverse market base ranging from refining to water treatment, to chemical production, to food & beverage. Our products measure, control, automate, communicate, record and network. Miller’s products support applications requiring the measurement, control, monitoring, and analysis of pressure, temperature, level, flow, pH, O2, CO2 and many other process variables. Oil and petroleum refining where crude oil is processed and refined into more useful products such as gasoline, diesel fuel, asphalt base, heating oil, kerosene and liquefied petroleum gas. Refineries have extensive piping and valves throughout their facilities and transfer large amounts of chemicals and petroleum by-products. Careful control of all processes is critical and the value of experienced application engineers is very high. Miller Energy has many years of experience providing instrumentation, control valves and other process equipment to the refining industry. Wastewater treatment plants turn wastewater from industrial processes and sewage into an effluent that can be returned environment or reused. Treatment removes impurities such as solids, bacteria, metals, and other in-organics from water Treatment is done at a wastewater treatment plant. Wastewater treatment includes the management of human waste, solid waste, sewage treatment, and stormwater management. Methods of treatment include screening, filtering, chemical dosing, and UV radiation. Miller Energy instrumentation and Controls are used in all fields of the municipal water supply, from production and preparation of raw water to obtain drinking and sanitary water to water storage, distribution and wastewater treatment. Electricity generation is the process of generating electric power from other sources coal, oil, gas, wind, solar, and bio-fuels. Electricity generation, transmission, distribution, and storage the major components in providing electricity to consumers and industry. 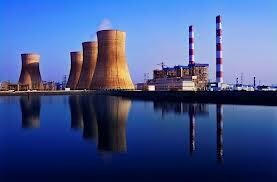 Power generating facilities are made up of many processes. From the weighing and off-loading of coal or bio-fuels, to the transport of gas or other fuel through pipelines and valves, to the combustion of the industrial burners, to the heating of water to create steam, to the management of high pressure steam to turn generators and finally to the environmentally proper ways to eliminate waste materials. Miller Energy provides instrumentation, controls, and valving for all these processes. Most importantly, Miller provides decades of experience applying the equipment they sell to assure the safest, and most efficient, and most cost effective use. The pharmaceutical, biopharmaceutical and biotech industries include the research, design and production of drugs, medicines, and living cells that fight disease, increase food production, clean the environment, and save energy. Throughout the research stage, trial production, and up to full scale production, the Pharma-Biotech-BioPharma industry uses highly precise instrumentation and valves, that require exceptional sanitary and hygienic approvals. Miller Energy provides a full line of hygienic and sanitary level, flow, pressure and temperature controls, as well as a full line of on-off and control valves for hygienic applications. Oil and gas companies engage in the exploration, production, refinement and distribution of oil and gas. 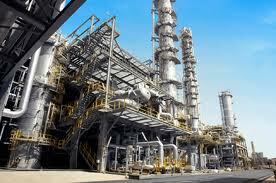 There is a large requirement for process controls and instrumentation during all stages. Miller Energy provides many products used in the the oil and gas industry and has years of expertise in the application of those products. Industrial gases that are specifically manufactured for use in manufacturing plants in oil and gas, chemicals, petrochemicals, steelmaking, power generation, mining, primary metals, medicine, biotechnology, food, water, fertilizers, nuclear power, pharmaceuticals, electronics and aerospace. The most common industrial gasses are nitrogen, oxygen, carbon dioxide, argon, hydrogen, helium and acetylene. Miller Energy provides instrumentation and valves for the creation, storage, and transport of industrial gases. The food and beverage industry is made up of large scale, commercial food processors and beverages producers. Raw material cost, utilities and distribution typically make up the largest part of these products. By using the proper instrumentation, food and beverage processors can simplify their manufacturing and reduce waste. A more efficient product line, with tightly integrated control systems help maximize performance and conserve resources. The food and beverage industry demands the highest standards of safety and sanitation. Miller Energy provides process valves, controls and components that meet the stringent hygiene standards, provide easy maintenance, and lasting performance. Petroleum products, gasoline, diesel fuel, asphalt base, heating oil, kerosene and liquefied petroleum gas, are normally stored at some kind of oil depot, tank farm or bulk storage terminal. These are industrial facilities are made up of many tanks, connected by a series of pipes and valves, to gantries that deliver the product to some sort of transport (truck, rail, boat). 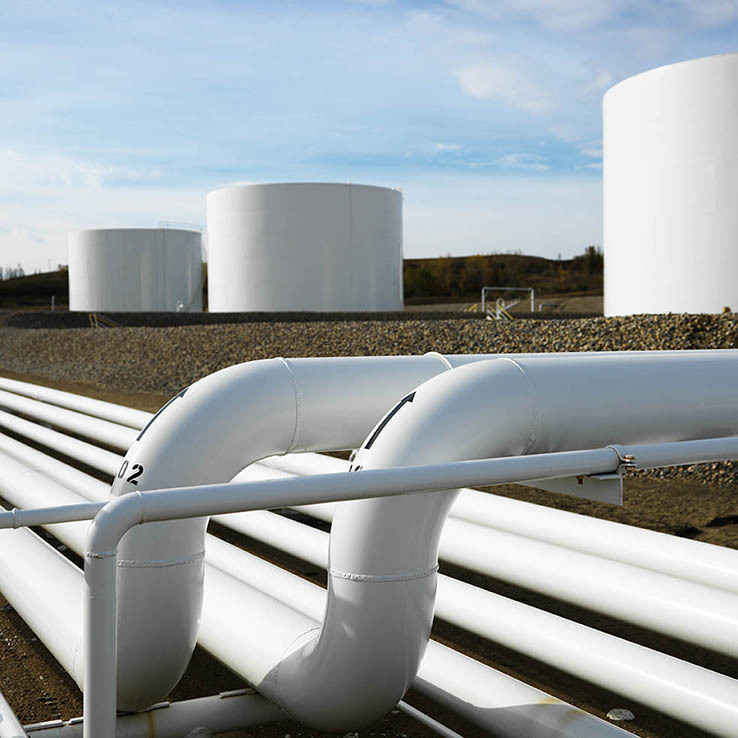 Miller Energy provides valves, level instruments, flow meters and other miscellaneous process control devices (as well as training and support) to many area petroleum storage facilities. The chemical industry is made up of several sub-categories, namely basic chemicals, specialty chemicals, and agricultural chemicals. Basic chemicals include organic and inorganic chemicals, plastic resins, dyes and pigments and are used in the automotive, construction, and packaging markets. Specialty chemicals include adhesives and sealants, water treatment chemicals, plastic additives, catalysts and coatings. Agricultural chemicals, such as insecticides and herbicides, are critical to the farm economy and the food processing industry. These chemicals have contributed to much greater production and yield of food supplies worldwide. Miller Energy provides many types of level, flow, pressure and temperature devices to the chemical industry, and Miller Sales Engineers have a high level of competence in applying these products.